This article looks at electrical safety in and around the house, office building or workspace. Identifying some of the risks associated with certain appliances and devices, and how to apply some common sense to keep accident free. General appliance safety in and around the house. The most popular appliance in the home by far is the TV. The Cathode Ray Tube (CRT) television has been largely phased out so we will not consider this here, even though they presented some hazards due to the low power X-Rays they produced. Modern flat screen televisions come with a few dangers too. The two main categories are LED (light emitting diode) and PLASMA. LED is actually an LCD (liquid crystal display) that uses an LED array as the backlight, there are variations of this such as the superior OLED (organic LED). If the screen is fractured or broken which is quite possible particularly if the screen falls off its mounting or falls over, it is possible for the toxic liquid that composes the LCD to leak, in addition, if the television is on whilst this happens it is possible to receive an electrical shock from the exposed LED’s. Plamsa is defined as an electrically charged ionised gas. 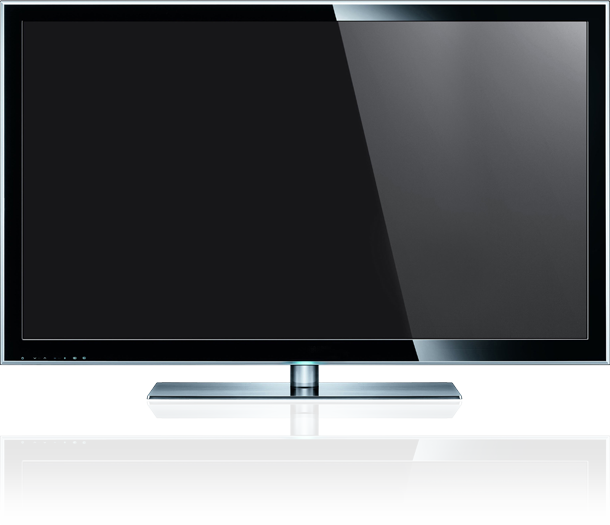 A plasma TV display typically comprises millions of tiny compartments of gases in between two panels of glass. These compartments, called micro-cells (consist of three additive primary colour pixels: red, green and blue), hold a low pressure mixture of noble gases such as neon or xenon (or argon, etc) and a minuscule amount of another gas such as mercury vapour (that sheds UV photons when energised). When a high voltage is applied across the cell, using two grids of micro electrodes on each side, the gas in the cells forms a plasma. With flow of electricity (electrons), some of the electrons strike mercury particles as the electrons move through the plasma. Mercury sheds the energy as ultraviolet (UV) photons. The UV photons then strike phosphor that is painted on the inside of the cell and produce visible light. There are two potential hazards here, if the screen were to be fractured, or shattered, these harmful gases would be released, and the high voltage electrodes could also cause electric shock. In addition, these types of screens must not be disposed of through normal municipal landfill, they must be properly recycled in order to safely reclaim the mercury, otherwise widespread and substantial environmental damage will occur that will result in human harm. There are many different types of fans and air cooling appliances. The more dangerous ones tend to be the old style devices with large DC motors, because they have poorer electrical efficiency, and supply more power to the rotating arms/blades. Spinning fan blades themselves are inherently dangerous because they tend to cut when involved in a high angular velocity collision. In addition to that, if the arms are blocked from rotating and the DC motor continues to operate, it will draw maximum current and as a result become extremely hot, this heat can ignite a fire if not regulated quickly. Heaters are an obvious one. Of course they can be burn and fire hazards, if incorrectly managed. There are many different types of electrically powered heaters and some more dangerous than others. 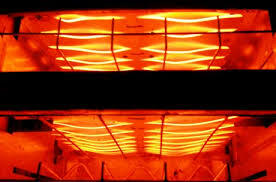 There are heaters that slowly heat up the ambient air around them, such as oil heaters. There are also heaters that actively heat the air with a fan and heating element, producing a positive delta enthalpy change between input and output air streams. With these types of heaters there is a risk of electrocution. Reverse cycle air conditioners tend to be the safest, but they draw more power and tend to isolate risks to the power side of the device, rather than the internal interface. Have you ever wondered why all power points are female in orientation and all cords are male. Its because at a power point you have direct access to 240V 10Amp 50Hz AC. This interface is designed to be as safe as possible by hiding the terminals 10mm inside the outer facing, making it more difficult to touch. There are many cases that can be concocted to cause catastrophic failure of this design. Shorting the active and any other terminal, with a paper clip for example will result in a nasty current spike that will vapourise the paper clip, burn anyone close to it, and shock any person in contact with it. The same effect can be achieved with, for example, inserting a knife into the active terminal, electricity will run through the person holding the knife to ground and cause electrocution. To minimise the possibility of electrocution though this type of event, Residual Current Devices (safety switches) are mandatory in all building structures and electrical systems throughout Australia. It may also be possible to induce a current in a conductive material that is very close by to the power point. A foil bag taped to a power point will become hotter and hotter as current flows through and it acts as a resistor, eventually igniting. It is believed that some house fires may have been started this way. The now deprecated incandescent light bulbs operate at high temperature and the glass casing gets really hot and will burn the skin. If a light bulb casing is broken and the wires and filament is exposed do not touch whilst it is plugged in and live. If touched with one hand you may close a circuit through your body to ground and will likely be electrocuted if no safety switch is installed. If touched with two hands this will result in fatal electrocution that cant be stopped even with an RCD safety switch. These have been superseded by the new low power energy efficient fluorescent bulbs. It is filled with a gas containing low pressure mercury vapour and argon, xenon, neon, or krypton. An electric current in the gas excites mercury vapour which produces short-wave ultraviolet light that then causes a phosphor coating on the inside of the lamp to glow. 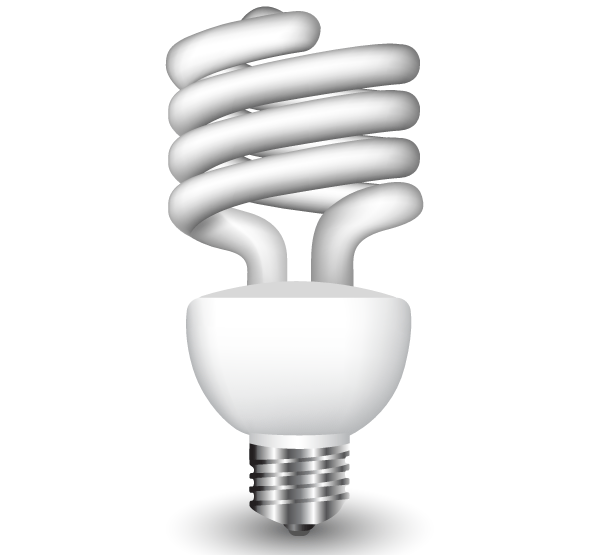 A fluorescent bulb converts electrical energy into useful light much more efficiently than incandescent bulbs, but less than that of a typical LED bulb. A fluorescent bulb does not get as hot as its incandescent counterpart but contains harmful gases that should not be inhaled. The most toxic of which is mercury, which is why they should not be broken, and should be appropriately recycled so that the mercury can be safely reclaimed. Accidents have been reported where a person has accidentally stepped on a bulb, the deep cut in the foot having been exposed to the gases, resulted in a flesh decaying scenario, as the mercury poisons the surrounding area. Computer circuits and components may be semi exposed in order to facilitate heat ventilation. Air ventilation helps to passively sink some heat produced into the surrounding ambient air. Having this hardware semi exposed slightly increases the shorting risk however. The guard stops a persons finger from making contact with the hardware, but the air holes could potentially allow liquid to spill in, or a foreign body such as a strand of wire to fall in. This situation could destroy the hardware and be potentially dangerous to the device user in respect to electric shock. Amplifiers, in particular valve (or vacuum tube) amplifiers, which use analogue circuits rather than the modern digital versions, can be potentially hazardous. The old school amps require very high input voltages (in kV range) in order to drive the valves, before transforming the signal to a low impedance and low current level that is required to appropriately match the output speakers. These high voltage transients are extremely dangerous if one were to open the box and touch the wrong component. In addition the smoothing capacitors are very large and discharge slowly, so the amp stays dangerous for a period of time even after it has been turned off or disconnected. Toasters toast bread by directly radiating thermal energy at it. Electricity flows through exposed heating elements, these elements glow hot, radiating electromagnetic waves in the IR (infrared) spectrum. The elements are inside the machine but it is easy to gain access to them. If for example one where to try and dig out a piece of bread with a metal implement whilst the toaster was on, and accidentally touch an element, then electrocution would occur, unless an RCD safety switch intervened. Blenders are typically powered by 12V DC motors that operate up to 10Amps. This is actually quite a strong motor, and because of this there are certain risks. The blades of a blender are designed to cut through, crush and circulate food matter, this requires a decent amount of torque. Obviously this torque combined with a sharp edge could cause massive injury if an active blender were to come into contact with a person. Additionally if a blender becomes jammed and remains on, the motor will draw its maximum (stall) current, this will cause the motor to overheat and potentially ignite. Garbage disposals actually make for an interesting case study, to determine the validity of their existence. Garbage disposal units are a relatively dangerous machine to have installed in ones house. There are numerous scenarios for accidents to occur, whilst having limited usefulness. The purpose of the unit is to grind and shred food waste into small particles to be fed into the kitchen sink drain pipe, without clogging or blocking the plumbing system. This may be handy in an urban environment where recycling food waste is not an option, the problem is that a lot of cooking refuse is not designed to be disposed of through the municipal water system. This just moves the problem down stream and makes it more difficult to handle. 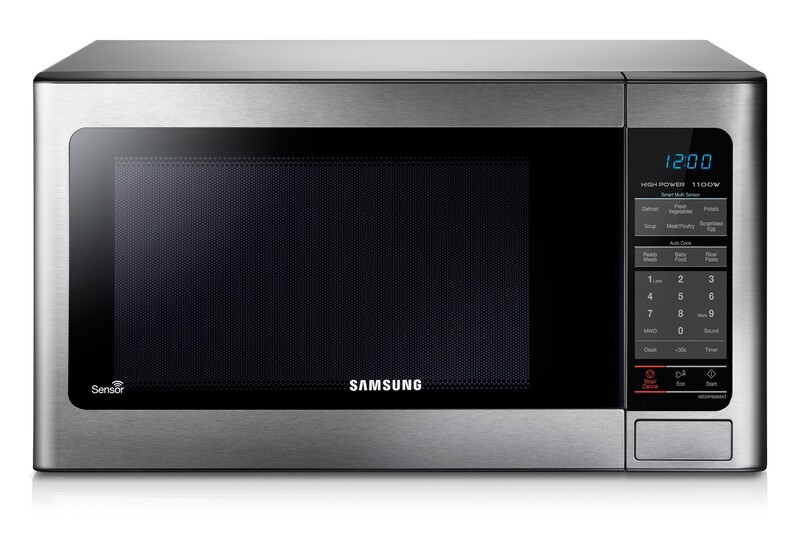 Microwave ovens heat food solids and liquids through a process called dielectric heating by emitting microwave radiation, at a typical frequency of 2.45GHz (wavelength of 12.2 cm). Water (H2O) is a polar molecule; more positive at one end (hydrogen) and more negative at the other (oxygen). The bent covalent bond creates this uneven electron density distribution, which means the molecule is an electric dipole. Microwaves utilise this important characteristic. A controlled magnetron creates the microwave electromagnetic radiation and it is then directed into the cooking chamber with a waveguide, where it penetrates deeply into the food matter. The water molecules (and other more complex polar molecules such as sugars and fats) in the food matter are induced to rotate as they tend to align themselves with the alternating electric field of the microwaves. The rotating molecules collide with one another creating vibration and unorganised free movement. This resultant kinetic energy of the molecules at our macro human scale is interpreted as heat. Some accidental risks involved with microwave cooking include high temperature steam and sparking/arcing of sharp metals. Water molecules in a pressurised or semi pressurised vessel have the potential to become very highly heated, or even super heated, the stream released from even a loosely sealed plastic tub or Tupperware can easily exceed 300 degrees Celsius. Any metal or electric conductor in a microwave will act mostly as a reflector, but also as an antenna to a lesser degree resulting in some electric current flow. This flow causes the object to act as a heating element if it is highly resistive. This effect varies with the object’s shape and composition. Electric field strength is greatest at sharp edges or points. Any object containing pointed metal can create an electric arc when microwaved. Forks are a good example; the tines of the fork respond to the electric field by producing high concentrations of electric charge at the tips. This concentration of electric field creates a massive potential difference, this has the effect of exceeding the dielectric breakdown of air. The air forms a conductive plasma, which is visible as a spark. Sparking is dangerous because it breaks down the protective barrier of the microwave, exposing the user to the microwave radiation at unsafe levels, and can cause electric shock. There is also extreme danger associated with deliberate misuse. In particular the risk of catastrophic explosion when pressurised and inflammable materials are placed in a microwave. For example if an aluminium can of soft drink were placed in a microwave and heated, the outcome would be a near immediate explosion. Of course there are other objects that are substantially more dangerous such as aerosol cans or batteries. 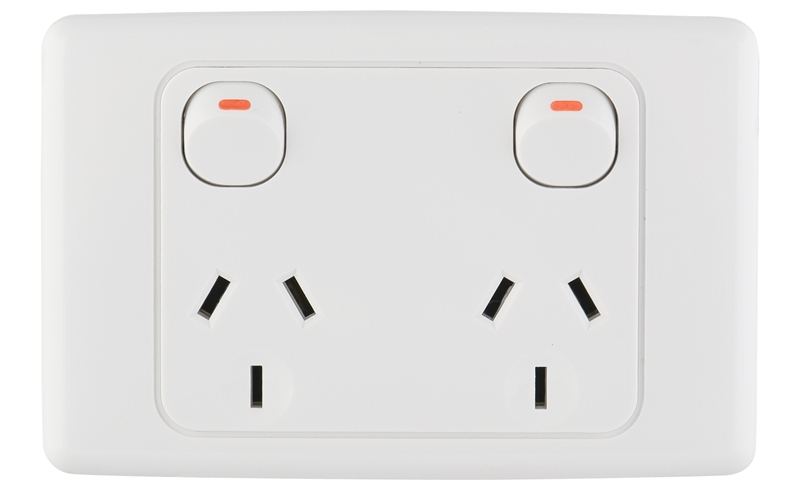 Standard power points and fuses in Australian buildings are wired to draw a maximum of 10Amps, however electric ovens (not gas), actually sit on a 16Amp fuse to enable them to safely draw more current than your normal appliances. It is important to note that this appliance is drawing a fair bit of current and to take a little bit of extra care when using this appliance when it comes to its power supply. For example if an oven where to be plugged into a four way power board before being plugged into the power point it would constantly trip the boards internal 10Amp breaker, or if it didn’t have one, then it runs an extreme risk of burning out or melting or igniting the board. This becomes even more likely if other appliances where running through this board simultaneously. Although a seemingly unlikely scenario, this exact situation is known to be the cause of numerous shop fires in Australia. Inductions cooktops have been heralded as the pinnacle of safe cooking because they do not transfer heat energy. Ever turned one on and placed your hand on top of the cooktop and expected to feel heat, but instead you are shocked to realise the top plate is cool to the touch? This is the magic of electromagnetics at work. A high frequency alternating current is applied to the copper coil (that can be seen in the diagram opposite), this creates an alternating magnetic field. Under the influence of this induced magnetic flux an object composed of ferromagnetic material, such as an iron or steel pan, will be repeatedly magnetised and as a result large eddy currents will flow through the pan, due to the low electrical conductivity / high resistivity of iron, the electrons cant flow far and thus heat will be rapidly generated. So a cooking vessel must have high electrical resistance and be ferrous. For these reasons aluminium, copper, glass and even some stainless steels are not suitable. The main safety consideration with this appliance is that whilst left on, any metal near the element will be subject to the strong magnetic field. This means cutlery for example might heat up if left on the ceramic, or a conductive metal implement nearby might start converting and conducting electricity and cause a shock risk. Or if you were to accidentally move your smart phone too close to it, the strong magnetic field will destroy it, certain digital components will be wrecked, memory will be wiped, and it will heat up also. It may also create some noticeable radio frequency interference. Of course, these cooktops don’t transfer heat energy, but the pot or pan that’s doing the cooking becomes hot and some of this heat transfers back down to the ceramic plate its sitting, so it is still possible to burn oneself on the cooktop in this situation. Appliance safety in the bathroom. Hair dryers use convection heating to create a heated output air stream, this is done with a fan to draw air through a heating element and direct it out of a nozzle. Hair dryers tend to be a risky device because of the context of being a bathroom appliance. If the unit where to fall into water, before tripping the mains fuse, electricity would be conducted through the water creating electrocution risk. Hair straighteners use conduction heat (metal plates) and compression to heat and straighten hair. 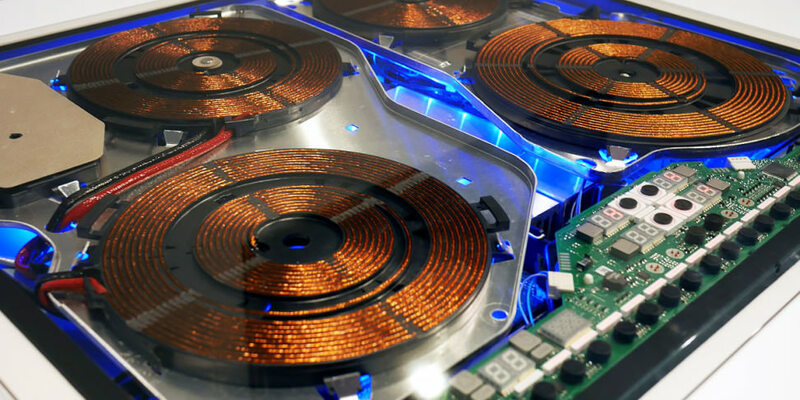 The heating metal plates get quite hot, and pose a real chance of burning a user. If the device is laid down and forgotten about, it will continue to heat which can ignite a fire. Again the danger of this device is its bathroom context because we anticipate that it will be in close vicinity to hair and beauty products that are highly inflammable. Tap water contains dissolved salts that dissociate to form ionic groups, these ions are charged particles that facilitate the transference of electrical current. Well great, what does this mean? It means that tap water conducts electricity. Therefore any situation where water is involved, such as: bath, sink / basin, shower, toilet, are all potentially electrocution risks. 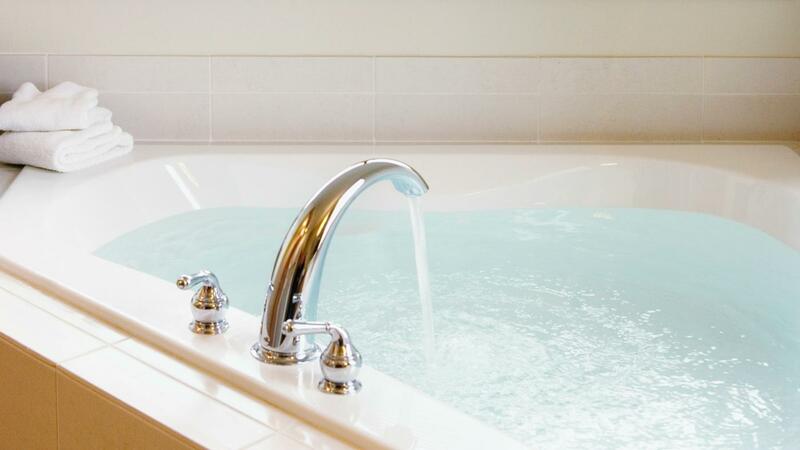 So extra care must be taken in these scenarios to ensure that mains connected appliances and devices are never in contact with or submerged in water. The rule of thumb is, if using an appliance keep water away, or if using water keep electricity away. Appliance safety in the laundry. A washing machine applies a centripetal acceleration to the clothes in order to spin them around, this force acts inwards. The inertial (or apparent) force that the clothes apply to the washing machine is a centrifugal force acting outwards. If the load of clothes that the machine is washing becomes unbalanced, then the centrifugal forces do not cancel each other out (the sum is non zero) and this results in the a net outward force applied to the machine that can be observed as vibration. At high RPM the observed external vibration caused by an unbalanced load becomes significant. The frequency of vibration will quickly migrate towards and hit a resonant frequency of the machine, this will cause the washing machine to vibrate with increasing magnitude before it eventually breaks itself apart. This experiment has been demonstrated many times by running a washing machine with a single brick in it. (See self-destruct videos: 1, 2, 3, 4, 5). An intensely vibrating washing machine can cause all sorts of problems: the vibration may trigger structural problems or accidents, if the power supply or electronics are damaged a fatal electrical fault could occur, the washing machine itself may also be destroyed. There are a few types of of clothes dryers on the market today: heat pump, condenser, and the standard vented dryer. Most people tend to opt for the standard vented dryer because the initial purchase price is much cheaper than that of its alternatives. A vented dryer uses much more electrical power than its counterparts, and the drying process outputs a stream of hot moist air. The humidity of the air is near to the saturation point and the temperature of the air is above 60 degrees Celsius. Most dryers are not correctly ventilated or even ducted at all. This means that the laundry or containing room becomes regularly exposed to this steam, which in the long term can be hazardous. It rapidly accelerates the degradation process of common building materials such as concrete, wood, steel, gyprock etc. In addition to the structural rot that will be caused it adds moisture to the electrical system which can promote oxidation and even potentially cause shorts at power points, connection points or other openings. Did you know that irons draw a fairly large amount of power? As well as getting very hot, which comes with the obvious dangers of burning and fire ignition, there are also hidden dangers that come with an appliance that’s drawing a relatively large amount of power (in its heating cycle). The power cord of an iron is quite prone to becoming twisted, due to the movement of the device in ordinary use. If the cable becomes tightly twisted a lot of electrical energy gets transferred to a magnetic field and will start to heat the wires, this could eventually melt the cord’s insulation. If this happens you could develop exposed wires, and this is a huge electrocution risk. Appliance safety in the garage. 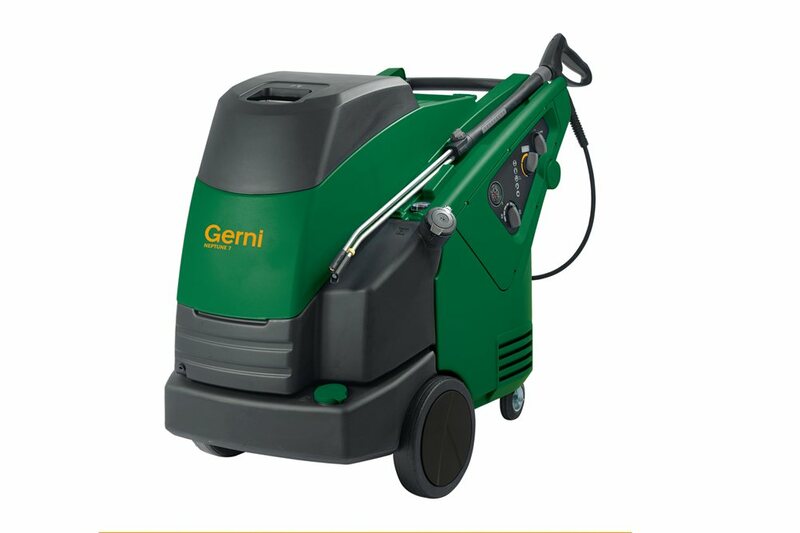 There are a few commonly used high pressure machines in the home such as: high pressure water cleaners (like the Gerni pictured right), pneumatic nail guns, spray painting guns. At high pressure seemingly harmless liquids and gases can become extremely dangerous. For example, did you know that water is quite resistant to compression and considered close to incompressible; at high pressure water can be used to accurately machine cut thick steel. It is actually alarmingly easy to be accidentally cut by a high pressure liquid. Other dangers of machines that create high pressure systems is that of pressure leaks causing explosion or projectiles. These machines draw higher power than usual appliances so we must always consider: grounding, overheating, electrocution risk due to shorting, and water risks. High power and very high power (using three phase) machines come with extra risk. In addition to the safe and correct operation of the machine itself we must also consider some of the most common electrical safety issues: to ensure the machine is appropriately and correctly grounded, overheating events and that correct cooling is in place and operating properly, potential shorting risks and electrocution mitigation, and water related risks. In the house garage we may find a few high power machines such as grinders, saws, welders, drills, lathes, presses, etc. 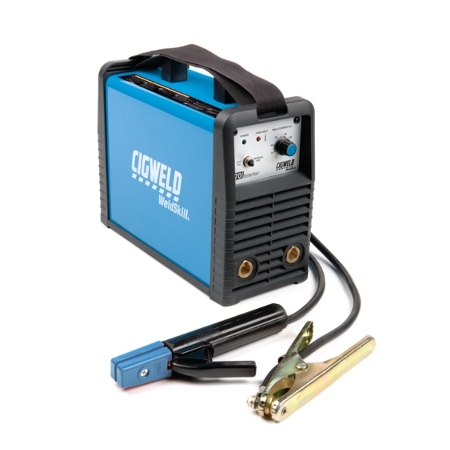 Welders are particularly dangerous for a novice that has no training using this piece of equipment. With an alternating current electric welder neither electrode is considered the anode or cathode. As shown in the adjacent image, both electrodes are intentionally exposed so that a short circuit effectively occurs allowing high current to flow between the steel work/job and the welding rod. When the welding rod is brought close to the job (~5-8mm), an electric arc is sparked and the circuit closes with electrons travelling a small distance through the air. This causes intense heat at the connection point and melts the tip of the welding rod, the molten metal is deposited on the surface of the job. The welder is designed to handle this sort of power consumption, and even when used constantly for a long period of time will start to get very hot, but should have overheat protection to automatically cut off before a critical temperature is reached. The main danger of a welder is when it is used incorrectly and the stream of electricity flows through an unintended path such as a person. Any user must be correctly trained before using it, and always exercise extreme caution.